Post #5014 - GLOBAL ONCOLOGY, INC.
Edward J. Benz Jr., MD, is President Emeritus at Dana-Farber Cancer Institute, President Emeritus of Dana-Farber/Partners CancerCare, Principal Investigator and Director Emeritus of the Dana- Farber/Harvard Cancer Center, Director Emeritus of Dana-Farber/Brigham and Women’s Cancer Center, and a member of the Governing Board of Dana-Farber/Children’s Hospital Cancer Center. He is the Richard and Susan Smith Distinguished Professor of Medicine, professor of pediatrics, and professor of genetics at Harvard Medical School. Dr. Benz is an internationally recognized hematologist who is an active National Institutes of Health-funded Investigator, he is an expert in inherited anemias, and his laboratory studies focus on the molecular regulation and functions of membrane cytoskeletal proteins that were originally discovered in the red blood cell. He has authored more than 300 peer reviewed articles, reviews, chapters, and abstracts. He is Co-editor of “Hematology: Principles and Practice,” which received the First Place Award for Textbooks from the British Medical Journal and of the “Oxford Textbook of Medicine,” for which he and his colleagues received the Royal Society of Authors Textbook Award. He is an Associate Editor of the New England Journal of Medicine. 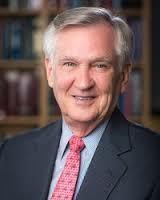 Dr. Benz’s accomplishments have been recognized by a number of distinctions, including membership in the National Academy of Medicine (formerly the Institute of Medicine) of the National Academy of Sciences, the American Academy of Arts and Sciences, the American Society of Clinical Investigation, and the Association of American Physicians. He is a past President of the American Society of Hematology, the American Society of Clinical Investigation, the Association of American Cancer Institutes, the American Clinical and Climatological Association, and the Friends of the National Institute of Nursing. In 2015, Dr. Benz was recognized by the Boston Business Journal as a Health Care Hero for Lifetime Achievement, and as a Hero in Health Care by the Visiting Nurse Association of Boston. Dr. Benz received his training at Brigham and Women’s Hospital, the National Institutes of Health, Boston Children’s Hospital, Yale, Princeton, and Harvard Medical School. He is board certified in internal medicine and hematology. Dr. Benz is married to Dr. Margaret Vettese, a nurse scientist and educator. They have four children and eight grandchildren.